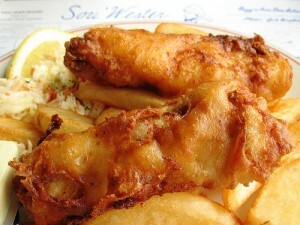 Don't leave without trying the fish 'n' chips! Driving the Cabot Trail: It’s one of North America’s best road trips. No one goes away disappointed by the awesome views, the amazing wildlife and the Gaelic culture that makes Cape Breton so special. Hiking to Cape Split and peering down at the Bay of Fundy in Blomidon Provincial Park. Admiring Peggy’s Cove: The lighthouse doesn’t take long to see but but the image of it standing tall and alone on a bed of finely polished granite, set to the backdrop of a peaceful fishing village, will stay in your memory for years to come. Going back in time at Louisbourg and Citadel Hill: These two fortresses, one French and the other English, really do bring history to life with their costumed interpreters and reconstructed buildings. Paddling a canoe in Kejimikujik National Park and taking in the stunning Cabot Trail views from the Skyline Trail in the Cape Breton Highlands National Park. Boarding The Hector, a full-scale replica of one of the first immigrant ships to land in Nova Scotia. You’ll find it in Pictou. Tucking into fantastic seafood. There’s lobster everywhere, and it’s especially good at the wharf in Halls Harbour or at the unpretentious Murray’s Wharfside Lobster Pound in Peggy’s Cove. Then there are scallops in Digby, and fish ‘n’ chips everywhere you look. Experiencing the world’s highest tides, the wet and wild way with a few hours of tidalbore rafting on the Bay of Fundy. It’s a uniquely Nova Scotian sport! Learning about fossils at the UNESCO world heritage site of Joggins, followed by more fossil fun and rockhounding in nearby Parrsboro. Getting eye-to-eye with a whale on a whalewatching tour from remote Brier Island, bustling Lunenburg or colourful Cheticamp.